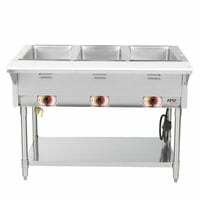 Eagle Group BS1-HT3 Stainless Steel Buffet Shelf with Sneeze Guard - 48" x 25 5/8"
Eagle Group 353986 Stainless Steel Dish Shelf - 48" x 8"
Keep food pans packed with your most popular dishes hot and ready to serve with the Eagle Group DHT3 open well three compartment electric hot food table. 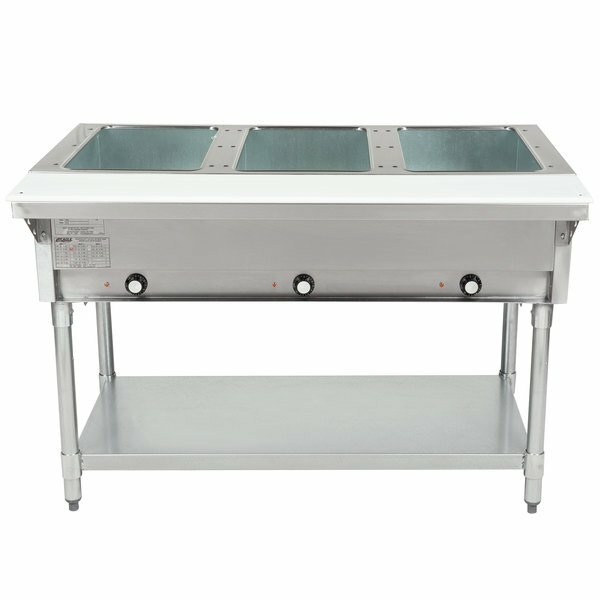 Great for a variety of operations, this electric hot food table includes 3 wells, each of which accommodates a full size food pan (sold separately). 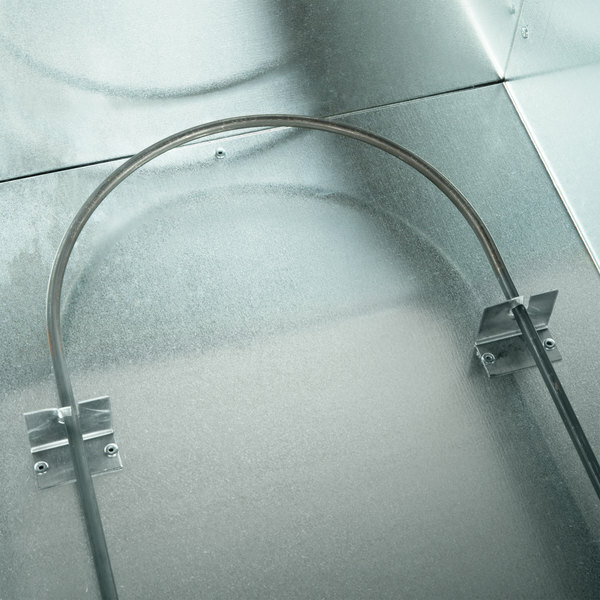 The wells are even fully insulated to help retain heat, and the independent infinite controls make operation simple. 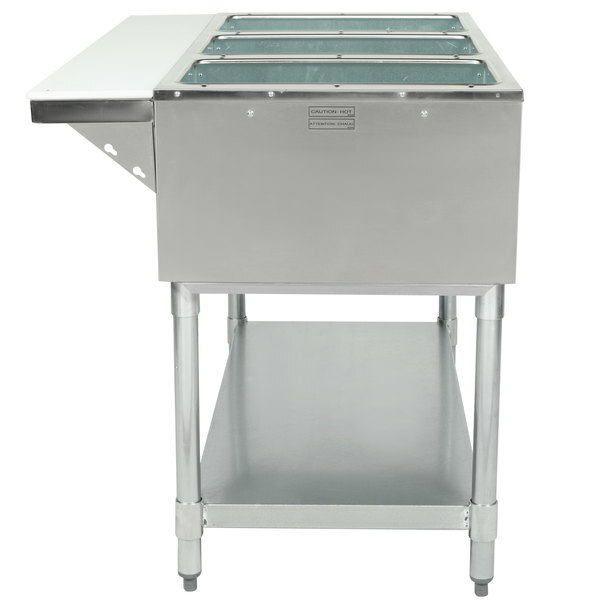 For operator convenience, this table is outfitted with a cutting board and undershelf. 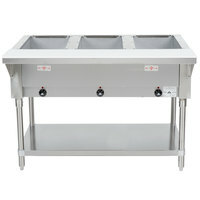 These features provides work and storage space to help promote efficient workflow in the kitchen. 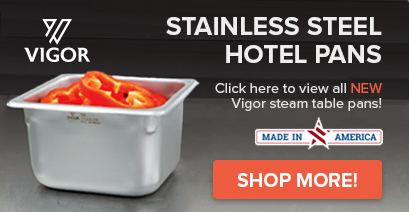 "With proper care, this steamtable will last forever! We purchased this unit to accompany an older unit from the same manufacturer. 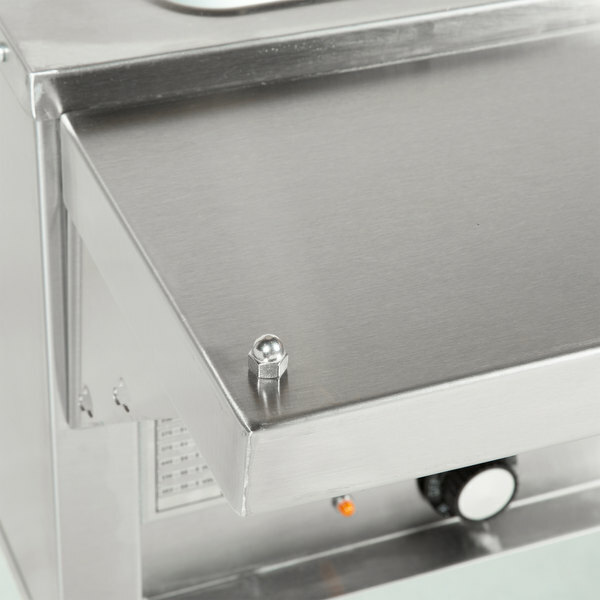 The wells heat-up quickly and maintain their temperature without overheating. 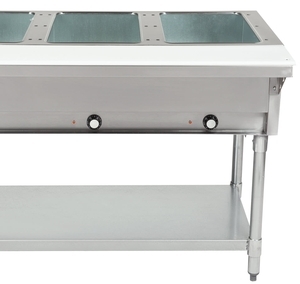 The unit is lightweight enough that it can be easily moved without adding…"
This table holds up to three full size food pans (sold separately) at a time, one in each of its three wells.This makes it great for a wide range of applications and menus, from cafeteria lunch lines to back-of-house food prep areas. Its full insulation around the wells helps minimize heat loss during use, and the individual heating elements ensure the contents of the wells stay at safe holding temperatures throughout the day. 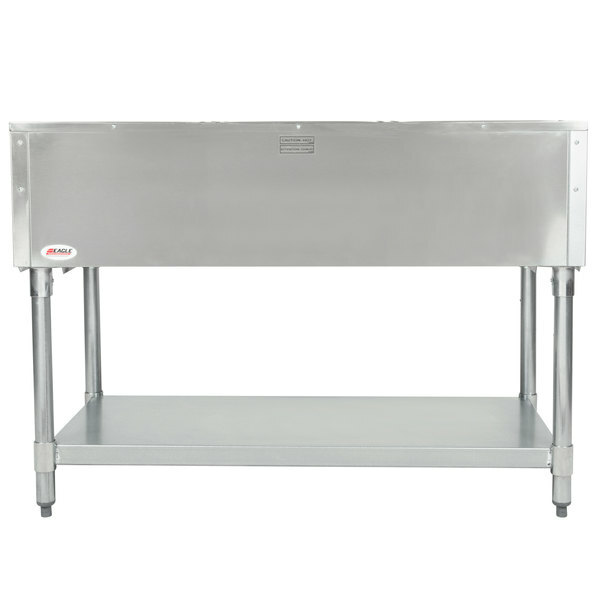 A convenient, galvanized undershelf is built in to the table to provide extra storage space. It's the perfect place to store appliances and containers, or even bulk disposables. 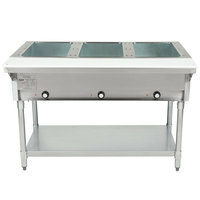 An 8" wide, 1/2" thick poly cutting board provides space to assemble and stage meals. 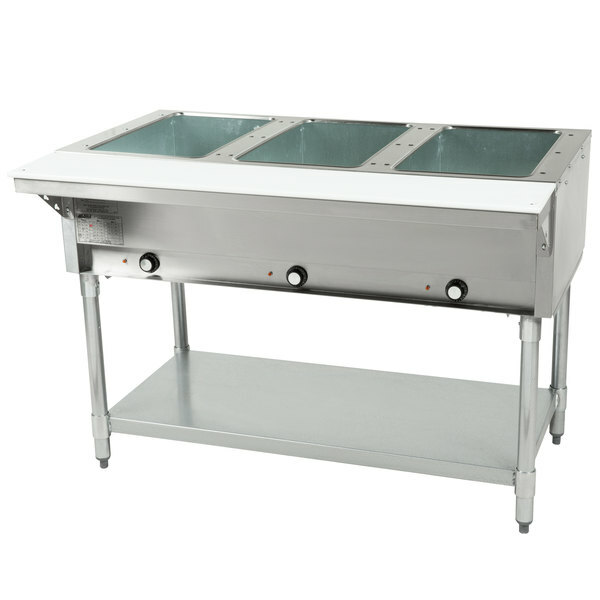 And thanks to its proximity to food pans, it makes meal preparation fast and efficient. Each well is operated with an infinite control knob, which makes it easy to change among the eight temperature selections. 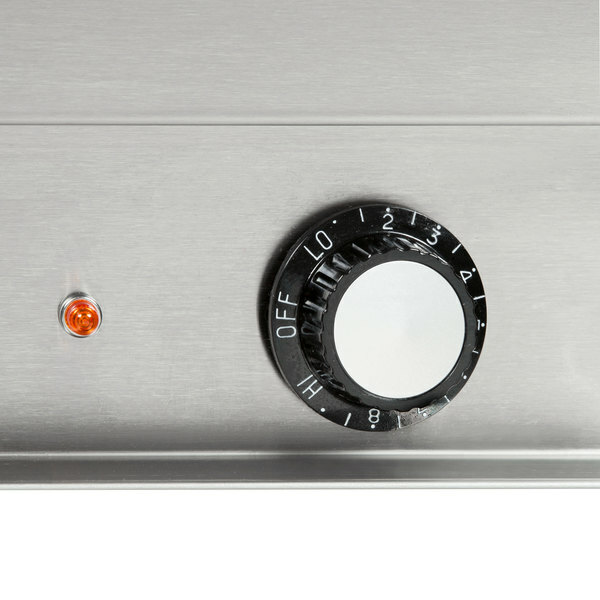 An indicator light next to each knob continually stays bright when the control is in the ON position. 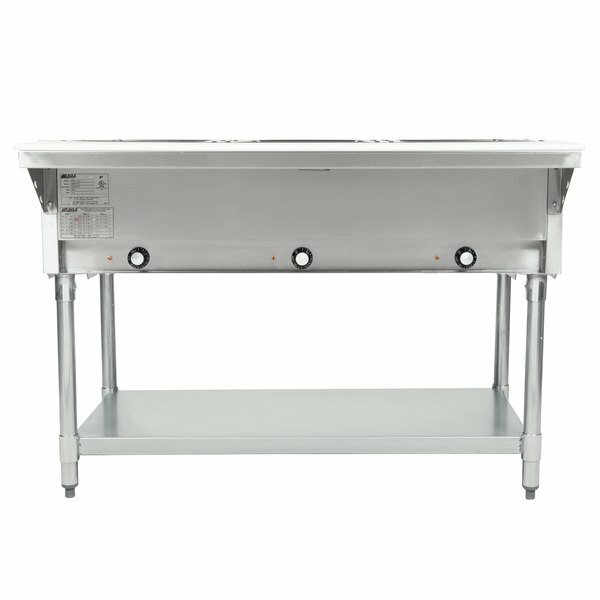 The body is made of polished 430 series stainless steel for long-lasting durability and features galvanized legs and bullet feet to remain sturdy at all times. 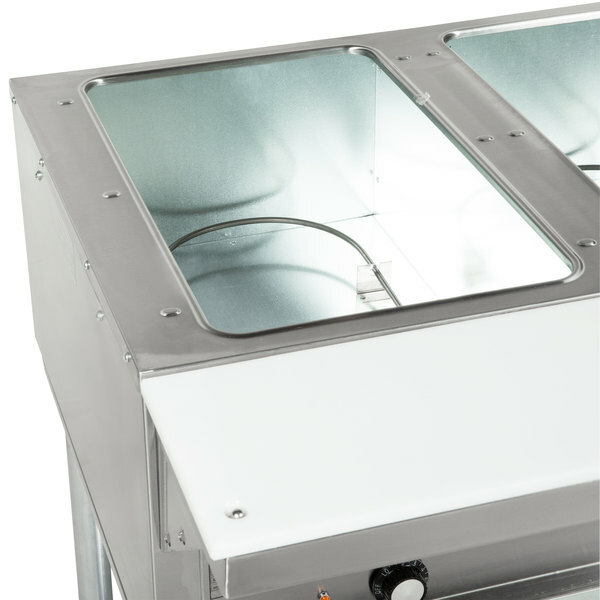 Plus, it boasts fully insulated wells to help minimize heat loss during use. With proper care, this steamtable will last forever! We purchased this unit to accompany an older unit from the same manufacturer. 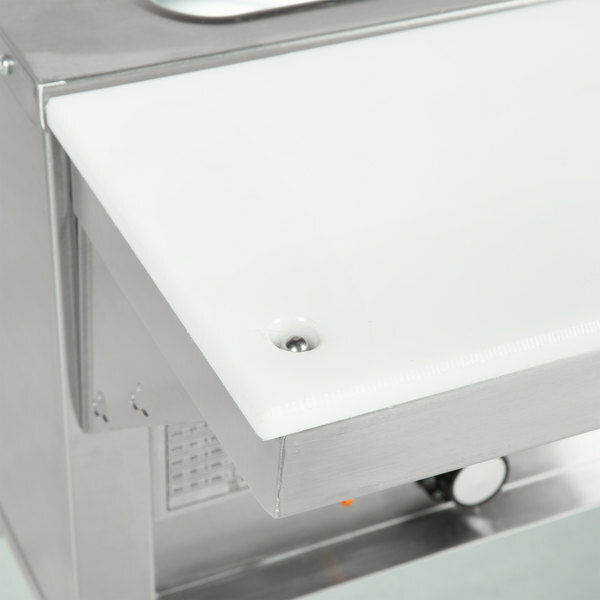 The wells heat-up quickly and maintain their temperature without overheating. 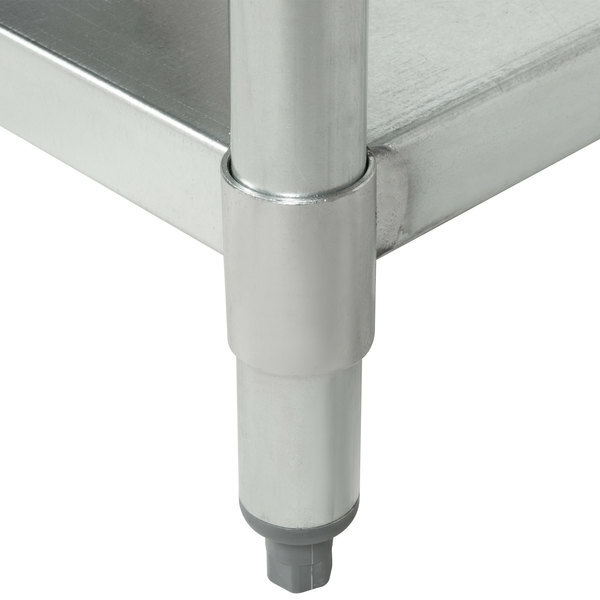 The unit is lightweight enough that it can be easily moved without adding the optional castors. The undershelf is handy for storing Styrofoam packaging. Very good product nice making hard material. Working perfectly will recommend this product to friends. did not have problems with this product we may need another one soon. 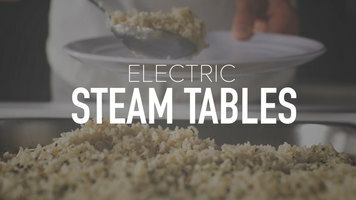 I have no problem with this steam table. It's very easy to use and quite economical. It definitely gets the job done. Only bad part is cleaning the very bottom after removing the bins with the water. 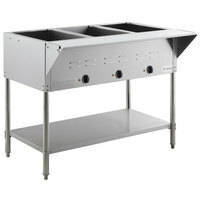 This steam table is a great value as well as being very well made. The dials are clearly marked for the temperature. Would highly recommend. A very good piece of equipment, at a reasonable price. Just learn how to use steam correctly and you will enjoy this piece of equipment.